Most of us have been working day and night to meet our family’s financial requirement. Among all this an aam aadmi has been trying to get a home, get his children educated and may be trying to save some money for his retirement, etc. But at the end we all land up spending our entire life earning on education, marriage etc. and our children continue same cycle. I am sure all of us wish, if there could be some form of investments that could give a sustainable compliment to our salary without too much struggle so that we could spend family time, live healthy and enjoy the benefits of an additional income. What if I tell you that there is a way that could complement your income without too much struggle! It is online commodity trading. I know when you hear the word trading, you get scared but commodity trading is simple and strategic, unlike stocks. 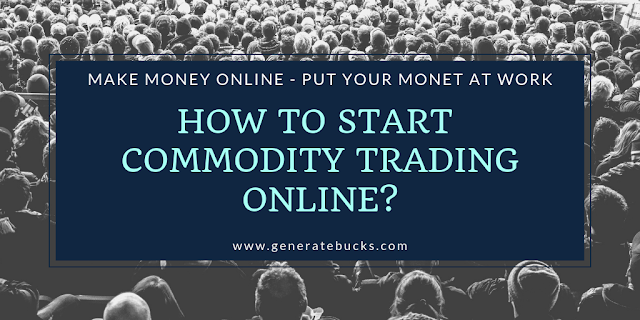 Many of us have heard about stock trading but commodity trading is not very common and this makes it more lucrative but risky at the same time. Most people consider trading a speculation or a gamble which is true to an extent but then what isn’t a gamble I would argue. We risk our health working extra hours, working parents risk their children with a maid when they are out, and someone trying to open a new organization risk funds and time, ultimately everyone is taking risk some way or the other, why should this be considered anything different? Also this is subject to heavy government regulation, unlike illegal gambling so if the government believe in it, that should be good enough. 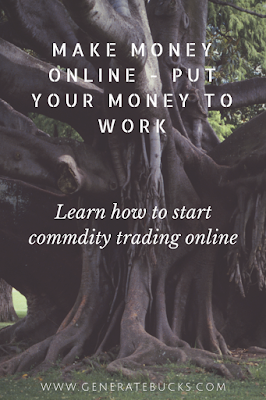 Commodity trading online is an investment that could help you balance and supplement your financial life only if you are able to stick to strategy and believe in yourself. I always suggest people to do their homework well before investing. Analyst are there to advise you but no one could give 100% correct advice. Analyst give advice based on fundamentals and technical but market prices vary based on how traders react to the global updates and this cannot be predicted. Commodity is group of assets that are important in everyday life. Commodities are often the building blocks for more complex goods and services. When we trade a stock, it is important to keep a track of an organizations fundamentals. Similar way there are factors that impact prices of commodities. Currency – movement in currency market is an important factor in this market. Depreciation in currency can give a boast to prices since all these commodities are traded globally. Production – If a production of certain commodity is matching the demand, then we could see prices in control and traders safely trading in range. Weather – This plays a very important role. If weather supports the growth, then we could see prices in control else things change. Global news – any global news that could impact the trade among countries could play and important role and can create gaps in the commodity market. Just like trade discussions between US-China was a major concern and we saw market crashing. There are many global factors that could impact commodities, therefore it is important for us to do regular homework and follow trends before we invest. You could invest in commodities through future contract, which is an agreement to buy or sell a specific quantity of a commodity for a set price at a future time. Future contracts are prevention towards the risks associated with the price swing of a futures’ implicit traded good or raw material. It is essentially speculative trading on a predicted future price which goes up or down based on factors mentioned above. 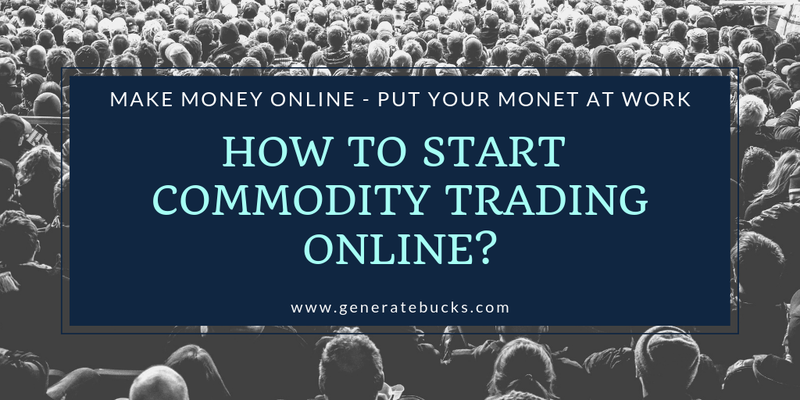 How to start commodity trading online ? Devote time – Commodity trading would need time so please be ready to do your homework. It is your money, please don’t trust anyone with your money. Remember nobody could be 100% correct, people would make mistake and you would have to bear the loss so take as much ownership of knowledge as you possibly can by reading reading and then reading some more. Read – read about margins, commissions, prices etc when you deal. Having good backup that could support your trade is important. It is recommended to pick one commodity, do thorough research on it and then start. don't jump into all at the same time. I always recommend investing more than 5 Lakhs Indian rupee since market is volatile and would need some back-up when you invest to cover up any upheavals in the market.